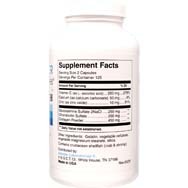 This combo of ingredients helps promote cartilage regeneration and healthy joints. May also assist with bone pain and digestive issues like leaky gut. 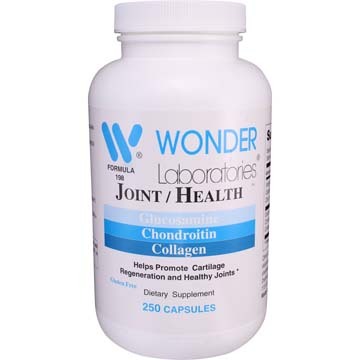 Provides: 900mg Collagen, 500mg Glucosamine Sulfate, 500mg Vitamin C, 400mg Chondroitin Sulfate, 100mg Calcium and 20mg Zinc. Other ingredients: Gelatin, vegetable cellulose, vegetable magnesium stearate, silica. Contains crustacean shellfish (crab & shrimp) ingredients. 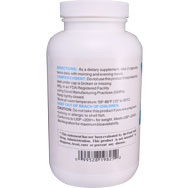 Directions: As a dietary supplement, take 2 capsules twice daily with morning and evening meals. Mani/Pedi Trauma? Meet the Top Two Supplements for Healthy Nails! What Causes Stiff Joints and What Can You Do About It? What are the Best Vitamins for Treating Psoriasis? Glucosamine: What Is It? What's It For? How Do I Get It?